If you have a home or a driveway, you may have a gate to keep unwanted visitors from parking in your spot or entering your property. The problem is, if your gate isn’t automatic, then you have to get out of your car each time to open it. 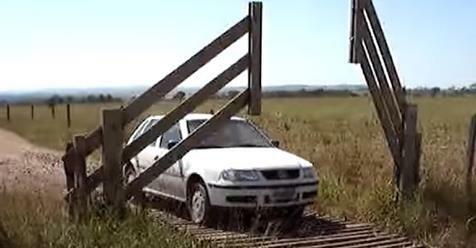 The purpose of the gate in this video was to keep livestock out, but let cars in. The creator devised an ingenious “pressure” method to allow the gate to open when a car got close. Check out how this awesome gate works in the video above.